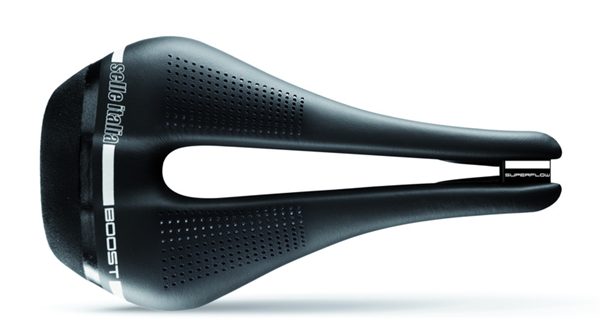 Product information "Selle Italia Novus boost Superflow L"
The SuperFlow technology dramatically reduces any physical discomfort caused by prolonged pressure on the pelvic area and ensures that you always have an optimal sitting position with very high comfort. Through the functional microfiber, a stable and lightweight saddle is provided. In addition, the Stattel has a double padding with variable strength for a comfortable seat. These features make it ideal for longer distances. Related links to "Selle Italia Novus boost Superflow L"
Customer evaluation for "Selle Italia Novus boost Superflow L"